Why more gloves? Vinyl gloves are incredibly practical, but they are use-once. 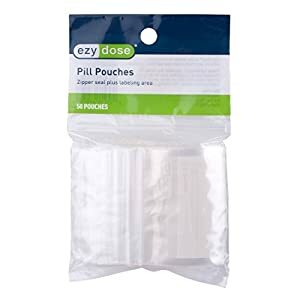 Your First Aid Kit has a pair, but one emergency and you're out. You might be helping others and you really want to keep other people's blood off you so you always want to be wearing gloves. Plus you can wear them if you're doing any other dirty work and you want to keep your hands clean. These are natural, powder-free, 100% non-allergenic gloves safe enough to be worn by even those with sensitive skin or allergies. Microscopic bacteria & organisms are easily transferred when preparing or serving drinks & meals, which is why we suggest equipping yourself with some of our extra strong anti-microbial gloves before taking on your next serving, catering or food prep job. Powder-free & enhanced with advanced AMS technology for combating microbes, these disposable vinyl gloves provide a safer, cleaner & more comfortable serving experience. They are the Healthstar antimicrobial vinyl gloves professional caterers, chefs & concierges rely on. Stop messing around with industrial vinyl gloves that just don’t cut it. 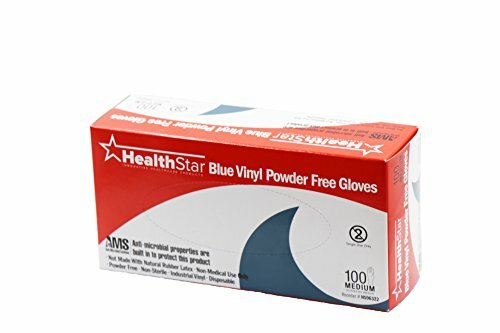 Order yourself a pack of Healthstar powder free vinyl gloves now! ANTI-MICROBIAL TECHNOLOGY: With protective cutting-edge AMS technology built into the film of our disposable vinyl gloves, they’ve been proven to guard against bacteria & fungi transfer all the way through serving & meal prep. 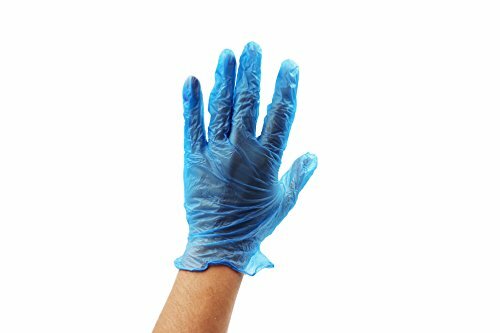 SAFE GLOVES FOR FOOD SERVICE: Since they’re reliably & safely anti-microbial, these ambitex powder free vinyl gloves are highly advisable for those in the food service industry, including chefs, waiters, caterers & servers. 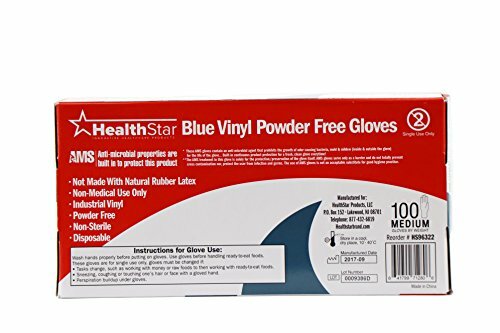 NATURAL, POWDER-FREE GLOVES: 100% non-allergenic, registered with the EPA & crafted out of DEHP-free materials, Healthstar anti-microbial gloves are even protected enough to be worn by those with sensitive skin or allergies. DESIGNED FOR COMFORTABLE FIT: We now have carefully developed our anti microbial gloves with the user in mind, which is why they’re prepared to will give you a comfy all day fit. They are easy to put on & just as easy to take off. STRONG & DEPENDABLE GLOVES: Not very many vinyl gloves come close in comparison with ours. 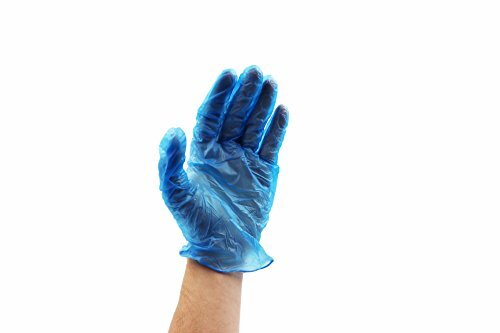 Extra strong, super tough & protected for all food serving settings, these anti-microbial vinyl gloves are preferred by the pros.